With reading boot camp, a makermobile, and more, these libraries are ready for summer break. "Three Rules for a Fabulous Summer Reading Program"
It’s March—prime time to get those summer programming ideas going. While reading initiatives, stamp cards, and storytimes all have their place at the library, so do free meals, mobile maker venues, geocaching-inspired scavenger hunts, and more. Here’s a snapshot of some of some standout programs from around the country. Public libraries are often filled with children and youth all day during the summer, especially in neighborhoods where families can’t afford camps or childcare. “Librarians said they see kids staying all day, and the kids are hungry. We need to support local communities with a more holistic approach,” says Patrice Chamberlain, director of the California Summer Meal Coalition, a statewide collaboration dedicated to combating childhood hunger. California libraries, along with those in New York and Ohio, have been among the first to team up with school lunch providers to serve free meals during the summer. In metropolitan areas such as Los Angeles, San Francisco, and Oakland, as well as the rural towns of Borrego Springs and Porterville, 130 public library sites serve lunches to children who qualify for free or reduced-price meals at school during the academic year. Last summer, 200,000 meals were served. The Contra Costa County Library system, just east of San Francisco, has been partnering with local school districts for the past three years to serve lunches at eight branches. These serve neighborhoods where at least 50 percent of public school students qualify for subsidized lunches; many of them are also in “food deserts” and are home to large immigrant populations. Alison McKee, deputy county librarian in charge of public services, says serving meals is part of the mission to bring people and ideas together. “If people are not getting enough food, they’re going to have a really hard time focusing on getting an education or reading for pleasure,” she says. “It brings people in the doors who might not come to the library because their priority is getting food for the day.” The lunches attract families to library programs, including storytime; special performer, crafts, and STEAM events; and the summer reading program. 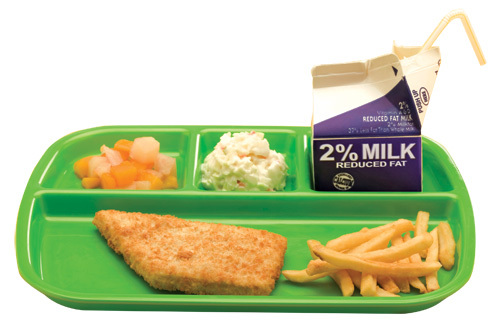 For libraries interested in starting summer meal service, Chamberlain recommends checking eligibility using a tool on the USDA website as well as contacting local school districts or food banks about providing meals. In California, additional programming funds or resources may be available through the Lunch at the Library initiative, funded by the David and Lucile Packard Foundation and by an LSTA grant administered by the California State Library. Other libraries are taking things outdoors with programs that encourage patrons to connect with nature and stay active. 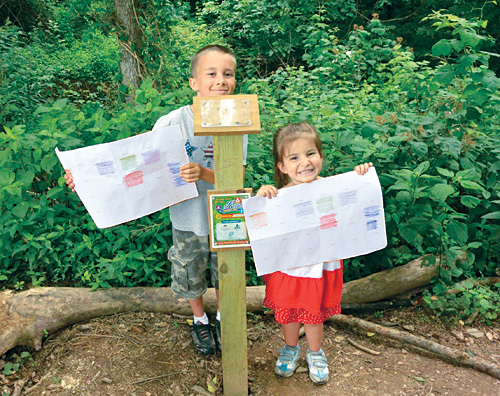 For the 10th year, the York County Libraries (YCL) in central Pennsylvania is integrating its summer reading program with a countywide initiative that’s a cross between geocaching and a scavenger hunt. In a county where nearly 35 percent of children are obese, the idea is to encourage families to explore the outdoors and be active, while reading and learning. GO York (which stands for “Get Outdoors York”) was started by the Health York County Coalition. However, early efforts to advertise through flyers posted at local convenience stores didn’t attract large participation. 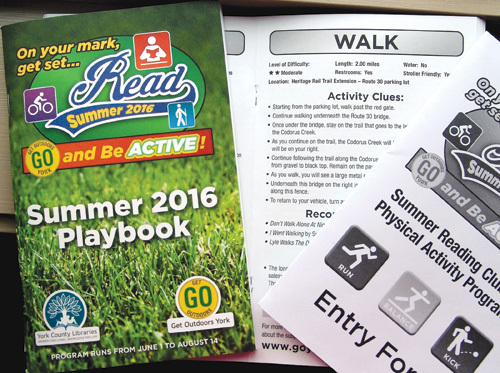 Joining forces with the county library system enables GO York to give “playbooks” to every family signing up for the summer reading program. Kids and their parents can follow the clues found in the booklets to discover 30 rubbing stamps hidden in state, county, and municipal sites. A sample route might include the following directions: “From the parking lot, turn left and walk to this location. When you get here, make a left turn, when you get to the tree. It will take you along until you find the post with the rubbing,” explains Paula Gilbert, director of youth services for the 13-branch YCL. The 2016 program included 17 stations; people who completed all the activities would have traversed nearly 40 miles. The GO York playbooks distributed by York County Libraries. At the end of the summer, families can turn in their booklets and completed rubbings for a chance to win prizes such as camping equipment, telescopes, backyard games, and gaming consoles. Each year’s GO York theme is coordinated with that of the summer reading program. Past themes include “On Your Mark, Get Set Go!”, emphasizing movement; “Every Hero Has a Story,” featuring community helpers; and “Dig Into Reading,” focusing on gardening. Most of the $20,000 operation cost for GO York is funded in partnership with the WellSpan medical group. The remainder comes from the Healthy York County Coalition, a collaboration of non-profit groups and local businesses. In 2008, GO York won the Excellence in Programming, Health/Fitness/Wellness award from the Pennsylvania Recreation & Park Society. Community-oriented summer programs are on the upswing as well. Inspired by a presentation by Kendallville, IN, public library staffers at the Indiana Library Federation’s Children’s and Youth Programming Division (CYPD) conference, the Bartholomew County Public Library in Columbus is planning a new challenge program for all ages with the theme “Build a Better World.” At the beginning of summer, patrons will receive a card where they can record activities such as reading, attending a library event, downloading an ebook, volunteering, or even taking a selfie at one of the city’s seven national historic landmarks. Columbus is known for Modernist architecture, including buildings by Eero and Eliel Saarinen, Harry Weese, and Myron Goldsmith. Patrons can turn in completed challenge cards to win small prizes, such as gift cards or board books, and also enter for a chance at the grand prize of $100. While maker spaces are now a staple at many school and public libraries, the San Jose (CA) Public Library (SJPL), in the heart of Silicon Valley, is taking the idea to the next level. 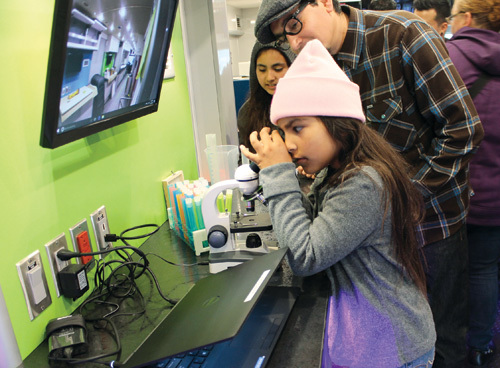 This winter, SJPL unveiled the Maker[Space]Ship, a bus outfitted as a mobile lab. 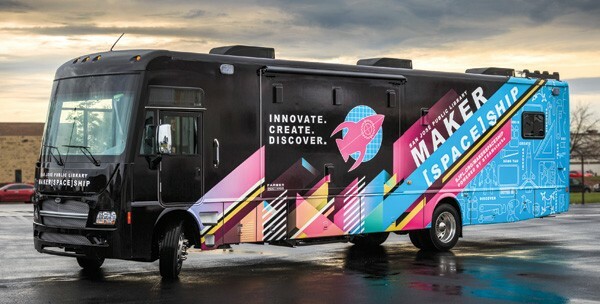 Designed with a $15,000 Pacific Library Partnership grant and the consulting expertise of Parker Thomas, former director of web initiatives for MAKE magazine, the Maker[Space]Ship is unlike other mobile maker spaces in that it doesn’t just transport equipment to different sites. Instead, the 39-foot vehicle has two pop-out sections with five interchangeable workstations that can be outfitted with popular equipment such as telescopes, microscopes, vinyl cutters, cook tops, and sewing machines. A green screen and 3-D printer are always on board. This summer, the Maker[Space]Ship will drive to a mix of sites around the city, including community centers, afterschool programs, and preschools. Erin Berman, innovations manager at SJPL, notes the importance of bridging the wealth of resources and the areas of poverty in this vast and diverse city. “A lot of people in the country are under the assumption that everyone here is rich,” says Berman, noting areas of poverty in the nation’s 10th most-populous city. “If you’re a kid in San Jose, all these tech products are being made in your backyard, and you might not get a chance to put your hands on them.” To best reach all the patrons in a city where one-third of the population is not U.S. born, three-quarters of the drivers and support staff are Spanish speakers; the library is also hoping to hire staff bilingual in Vietnamese. To help other schools and libraries launch maker spaces, SJPL offers resources including lessons for kids ages 6–18 and a downloadable mobile maker space guidebook. Of course, there will still be a place for kids and youth to hang out and create at the main library. Last summer, SJPL’s flagship Dr. Martin Luther King, Jr. Library opened TeenHQ, a 2,872-square-foot youth space equipped with a recording booth, gamer lounge, and another maker space. Twenty teens—dubbed “Groundbreakers”—participated in the design, and even construction, of TeenHQ, which is located on a mezzanine level near, but distinctly separate from, the children’s area. “We provide a place where teens can have both guided and unguided learning, using our equipment to learn and grow at their own pace and with their own interests,” says youth services librarian Erik Berman (no relation to Erin). 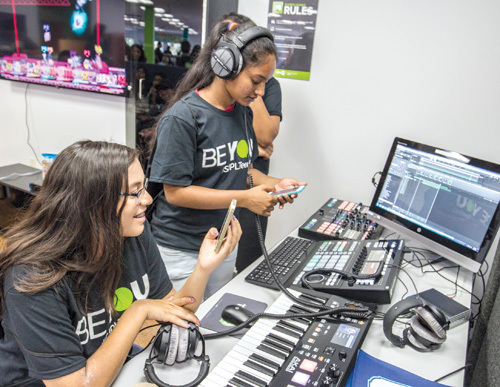 “Very few libraries have recording studios, especially with the level of equipment that we have.” Since TeenHQ launched in August 2016, more than 200 youth have been trained to use the maker space; the recording studio and gamer lounge are occupied daily. Berman says the library will be taking advantage of the new facility in its summer 2017 programs, as well as hosting events to bring youth from the various neighborhoods together. Meanwhile, libraries continue to evolve summer reading and learning models. For the past two years, the Free Library of Philadelphia (FLP) has added to its already popular summer reading program, which attracts 40,000 participants annually, by offering a late-summer literacy camp. Held at eight branch libraries in 2016, the Jumpstart program offered 38 children entering first through third grade an intensive boost right before school. A project-based reading and writing curriculum culminated with all children authoring books of their own. Testing students’ reading on the first and last days of the program, librarians reported success in stemming the dreaded “summer slide,” when kids experience a decrease in reading skills during vacation. “Ninety-six percent of students maintained or gained a reading level,” says Joel Nichols, data strategy and evaluation administrator at FLP. The initiative also impacted kids’ attitudes toward learning. “Eighty-seven percent of students maintained or improved on habits of motivation and asking for help, and 76 percent maintained or improved their attitude toward learning,” Nichols adds. Jumpstart received a 2016 honorable mention in the Learning category for the Urban Libraries Council Innovation awards. The camps will be run by regular library staff and supplemented by volunteers such as local experts in computer programming, creative writing, or painting. King also hopes that the week-long camp format will be more appealing to parents who are looking to schedule blocks of activities for their young children. The library will continue to hold storytime five days a week, as well as its regular teen programming, including movies and book clubs. At Reedy High School in Frisco, TX, the issue isn’t so much motivating students to read but making it more economical and convenient. When the high school opened in fall 2015, the Frisco Independent School District tasked teacher librarian Nancy Jo Lambert with building a large digital collection. At the start of summer 2016, she ordered many of the summer reading titles required for the school’s AP English and pre-AP students, who make up nearly half of Reedy’s 1,500 students. “One six-dollar purchase gets every kid in my school access to the book, for the ones that are in the public domain,” says Lambert. “Even if you’re purchasing a mass-market paperback at school rate, it [costs] four to five dollars.” Public domain titles include classics such as David Copperfield, Don Quixote, Hamlet, Heart of Darkness, and Great Expectations. Students can read the books from any device using MackinVIA software. They can download their notes or highlighted passages to Google Docs for later use. 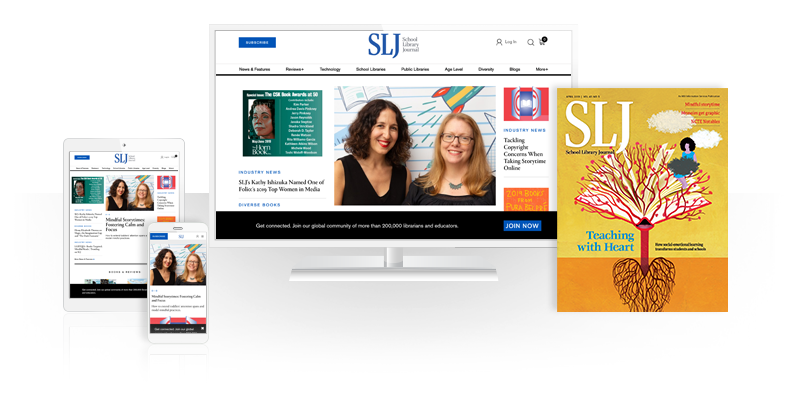 Whatever the focus, librarians share this key advice about successful summer programming: partner with organizations that already do the kind of initiatives your library wants to embrace, whether serving meals or improving literacy. At YCL, Gilbert says that patrons now expect the GO York program to happen each summer—and begin asking about it in March.